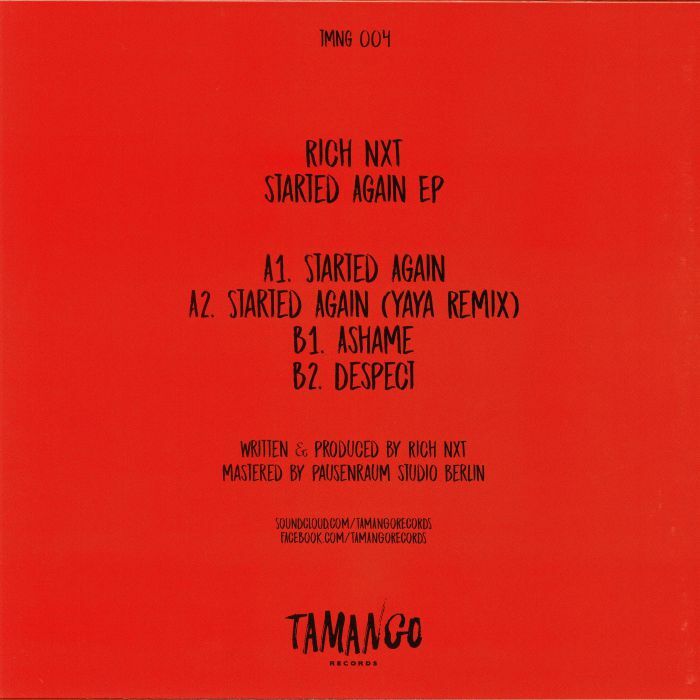 RICH NXT Started Again EP vinyl at Juno Records. The Fuse London affiliated tech house hero Rich NxT is up next for Turin based imprint Tamango. 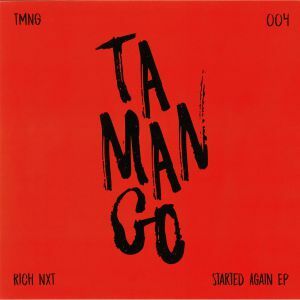 The Started Again EP features some trippy afterhours tackle as heard on the minimal title track, which receives a killer rework also on the A side by label boss Yaya (Desolat/Cadenza/Be As One). On the flip, the grooves roll tougher and with more energy - just like on the funky vocal-led "Ashame", while the drummer gets wicked on the groovy tool that is "Despect".